The National Clubs Association (NCA) and PLAYERTEK by Catapult are pleased to announce a partnership that will see the two organisations combine to introduce the technology to National League teams during the 2018/19 season. Developed by Catapult Sports, the world’s leading developer of player tracking technologies, PLAYERTEK is an innovative GPS athlete monitoring system that helps clubs across a wide range of sports to inform crucial performance decisions with objective information. 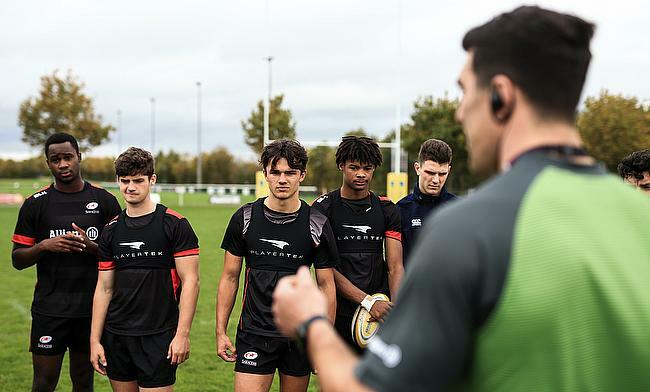 From schools and academies to professional clubs, PLAYERTEK is used by teams at all levels of rugby to support coaching, athlete development, and injury rehabilitation. Current users include the Scottish Rugby Union academy players, Blagnac Rugby, Blue Bulls, Loughborough University, Rosslyn Park and Saracens Academy. Monitoring everything from the speed of wingers to the impacts experienced by forwards, PLAYERTEK gives coaches and players an insight into every aspect of performance through 10 key volume and intensity metrics. “The main thing our partnership aims to offer is that we are using this elite sporting technology to transform semi-professional environments to create a really professional feel within a clubs,” said ncarugby.com Marketing Manager Max Ashcroft.